For the past eight years, Wine Country Inn has generously hosted an over-the-top feast to benefit Marillac Health, which provides medical services regardless of insurance or employment. Edesia: A Palisade Culinary Wine and Spirits Adventure has raised $175,000 overall, with 2018’s April event bringing in a record $33,000. Edesia attendees savor the best of Western Slope food and drink, starting with a VIP luncheon held in the inn’s elegant ballroom — newly remodeled and expanded in celebration of the inn’s 10t anniversary. The revelry continues with an extravaganza of samples from local vendors. Demonstrations from renowned chefs and live music under spring blossoms add to the fanfare. For the past 12 years, enver Air Connectio has enabled easy travel between the Grand Junction area and metro Denver, with twice-daily departures from each location during the week. As a thank-you to the Grand Valley for its support, the company recently gave over $120,000 in airline tickets to more than 25 local nonprofits. The 5th Annual Crazy About Canyons Wine Dinner on June 9 continued an ongoing partnership between Carlson Vineyards and the Colorado Canyons Associations (CCA). 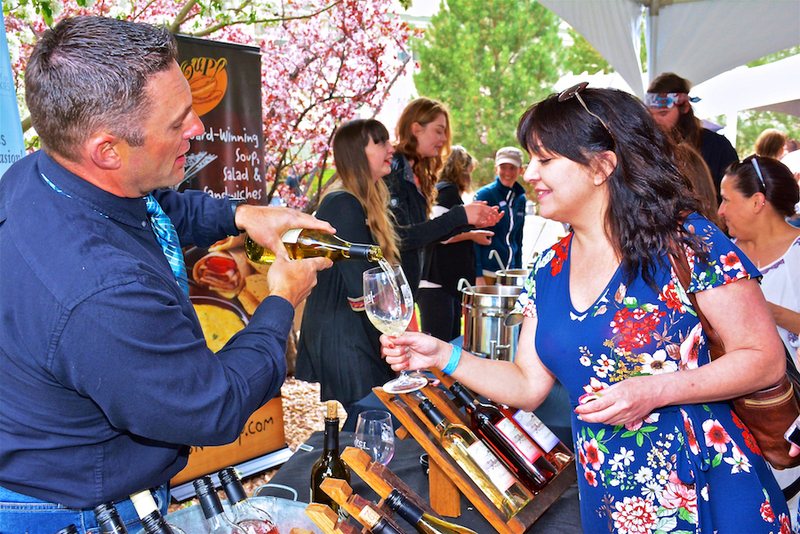 This relaxed event, hosted at the vineyard, brings in over $10,000 annually to support CC’ mission of fostering community stewardship of nearby national conservation areas. Furthering this friendship, each year Carlson Vineyards creates a new wine to benefit CCA, donating $2 per bottle sold. This year’s wine release is Terra, a blend of cabernet franc and cabernet sauvignon aged in French oak, with beautiful landscape photography gracing the label. Pre-Shift Meeting: It's Go Time!